In the past week, the Russian Minister of Defence Sergei Shoigu gave a public address to the Duma about the progress of reforms that the Russian military has undergone in the past decade. 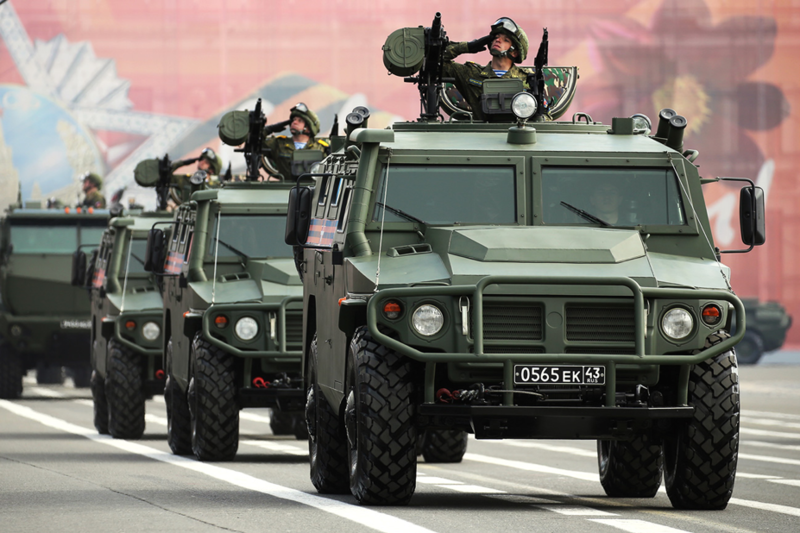 Shoigu expressed to lawmakers that since 2012, over 1,000 planes and helicopters and 3,700 tanks and armored vehicles have been purchased, as well as modernization of other existing equipment, and improved training and doctrine that resulted from significant government investments in all these areas (Vladimir Isachenkov, 2019). Shoigu also boasted that all Russian “military units possess constant combat-readiness” (Tom O’Connor, 2019). After the 2008 war in Georgia, where the Russian military performed poorly, the government deemed it critical to modernize their forces. 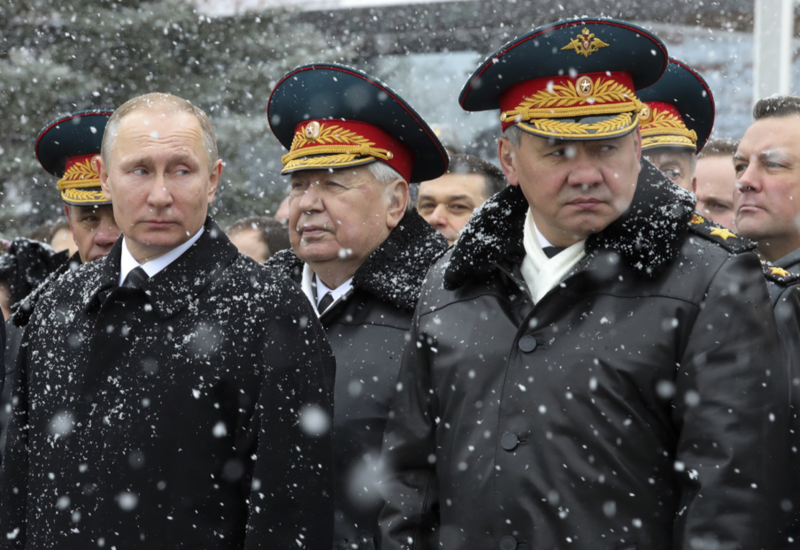 President Putin elevated Shoigu to his current position and gave him a mandate to radically modernize the bloated and ill-equipped conscript military into a premiere fighting force. Due to Russia’s poor economy however, cuts were made to their overall defense spending in 2017 that saw the first yearly decrease in spending since 1998. That being said, Russia’s military budget that year still came in at close to €54 billion, and has since risen (Ivana Kottasová, 2018). This temporary decrease in military spending also came on the heels of a massive spending spree that saw Russia spend an estimated €298 Billion on the previously mentioned rearmament programs from 2011-2020 (Matthew Bodner, 2017). The program was also renewed by the Russians, and the so called “state program of armaments” for 2018-2025 will overlap with the current program. The armaments program not only funds the military, but also state-owned industries that revolve around the military industrial complex. The 2011-2020 program focused on all branches of the military but seems to be coming up short due to large cuts to the naval component of the modernization program, and to a lesser extent the air force, and some components of the land forces (Matthew Bodner 2017). One of the main aims of the land force rearmament is to achieve a rate of 70% modernization of equipment by 2020, as well as to update the quality of soldiers training, and the doctrine that the ground forces adhere to (Steven Pifer, 2016). There has also been an attempted shift away from a large conscript force, and towards a more professional army. This has so far resulted in 40% of positions in the military being filled by volunteer soldiers in the one-million-man military, which is double the amount than the previous decade (Tom O’Connor, 2019). Even with these recent setbacks in funding, and the delays in the modernization of the Russian military, the overall situation has improved significantly over the past decade. This can be best exemplified by a speech given by the top US/NATO commander in Europe only a week before Shoigu bragged about the new and improved Russian military. American Army General Curtis Scaparrotti called for more naval forces to be deployed in Europe, as well as the need for “NATO’s land forces, intelligence, surveillance and reconnaissance” abilities to be significantly upgraded to counter Russia’s growing power in the region (Ed Adamczyk, 2019). 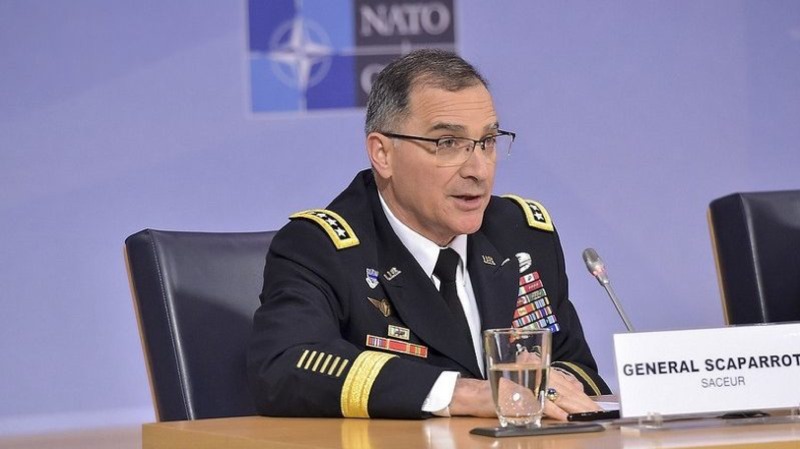 Beyond this, Gen. Scaparrotti also addressed the fact that serious logistic challenges have come about due to the addition of new NATO members from Central and Eastern Europe that have less developed road and rail links with the core of the continent. European NATO members have been combating the rising threat in the east by growing their own militaries. As Finabel will shortly document in our upcoming ‘Food for Thought’ publication on budgets, the military expenditure of the whole European area fell from 2.5% of gross domestic product in 1991 to 1.5% of the area’s GDP in 2016 (Mölling C., 2012); though recently these trends have started to reverse. From 2017 onwards there has been a clear trend of nations spending more on their militaries, and many have ambitions to grow their spending to the NATO standard of 2% by 2020, or 2025; and as of 2018 eight of the twenty-nine NATO members already reach the 2% threshold (NATO, 2014). It is crucial to remember that military spending is important, but the capabilities that come from that spending are vital. This is where the importance of interoperability comes in. Russia has the advantage of being able to modernize their entire military with modern tools of war, while at the same time developing doctrine and training that will be standardized across their military. Europe on the other hand has a huge military budget as a region, yet no single country can field a fighting force as capable as Russia on their own. 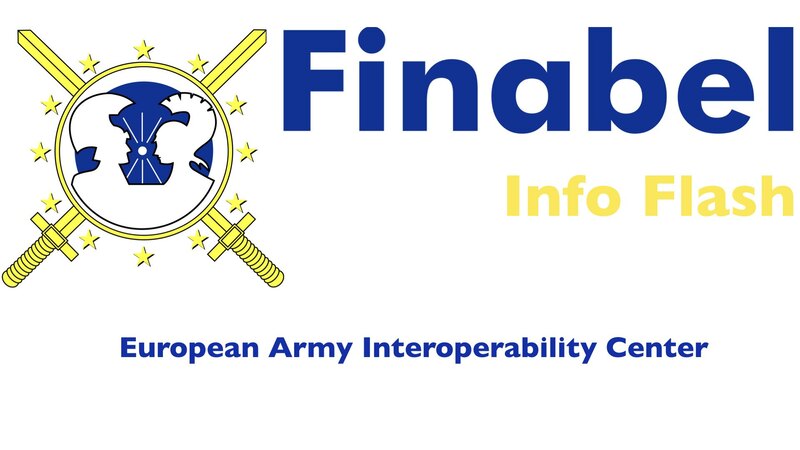 The strive for interoperability, the harmonization of land forces doctrine, and the general unifying platform that organizations like Finabel provide are therefore crucial in keeping peace on the continent, and their importance will only grow as Russia continues to modernize their forces in the coming years. Adamczyk, Ed, “Eucom commander: More capabilities needed against growing Russian threat.” UPI. 6 March 2019. Bodner, Matthew, “Russia’s Putin drafts new rearmament program.” Defense News. 26 May 2017. Kottasová, Ivana, “Russian military spending drops for first time in 20 years.” CNN. 2 May 2018. Isachenkov, Vladimir, “Russian defense ministry boasts about revived military power.” Washington Post. 11 March 2019. Mölling C., “The Implications of Military Spending Cuts for NATO’s Largest Members,” Center on the United States and Europe at Brookings, July 2012. North Atlantic Treaty Organization, Wales Summit Declaration, Newport, Wales, September 2014. O’Connor, Tom, “Russia reveals how much stronger it has become, says military has ‘constant combat readiness.” Newsweek. 11 March 2019. Steven Pifer, “Pay attention, America: Russia is upgrading its military.” Brookings. 5 February 2016. German Forces intend to recruit Foreign Citizenship from EU countries.